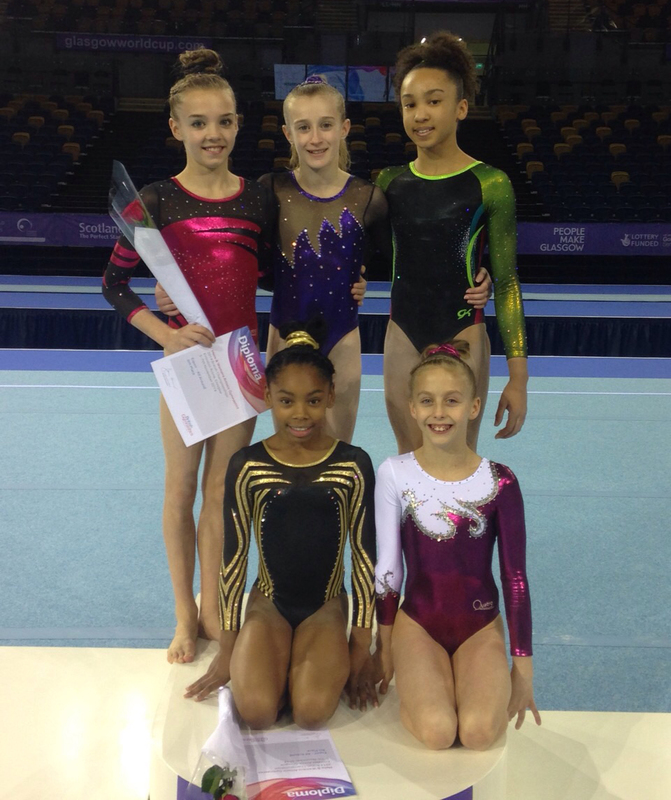 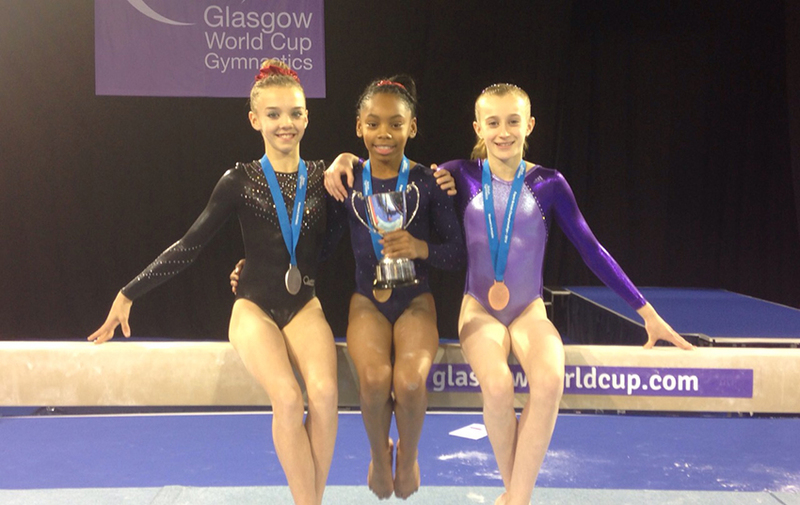 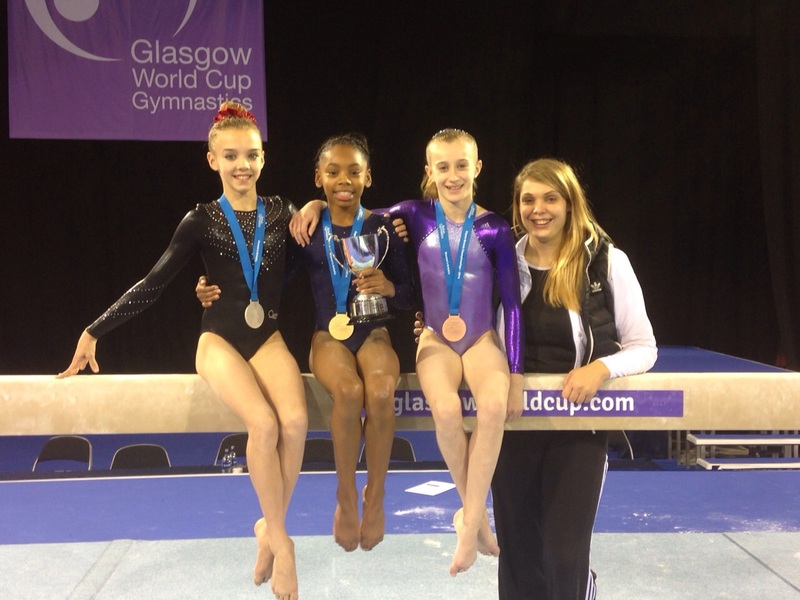 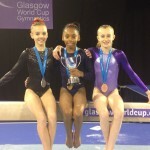 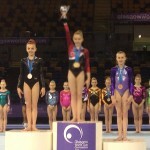 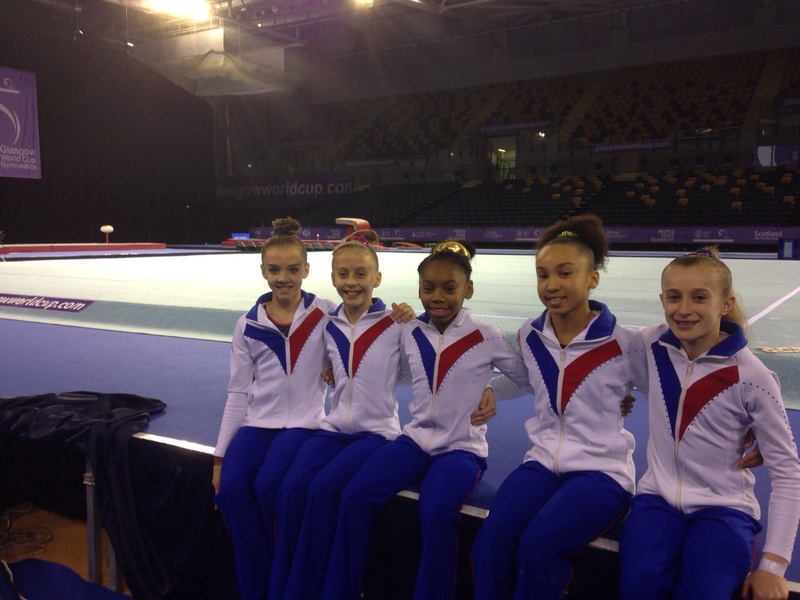 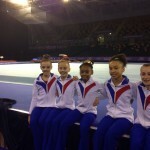 A great weekend for City of Birmingham Gymnastics Club girls in the British Espoir Championships that took place at the Emirates arena in Glasgow alongside the prestigious Glasgow International grand Prix event over the weekend of 5th-7th December. 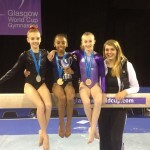 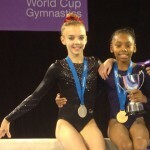 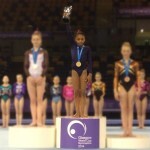 The event saw City of Birmingham’s Taeja James become British individual apparatus champion on Asymmetric Bars along with Hannah Leeson and Megan Parker who became respective individual apparatus bronze and silver medalists on beam. 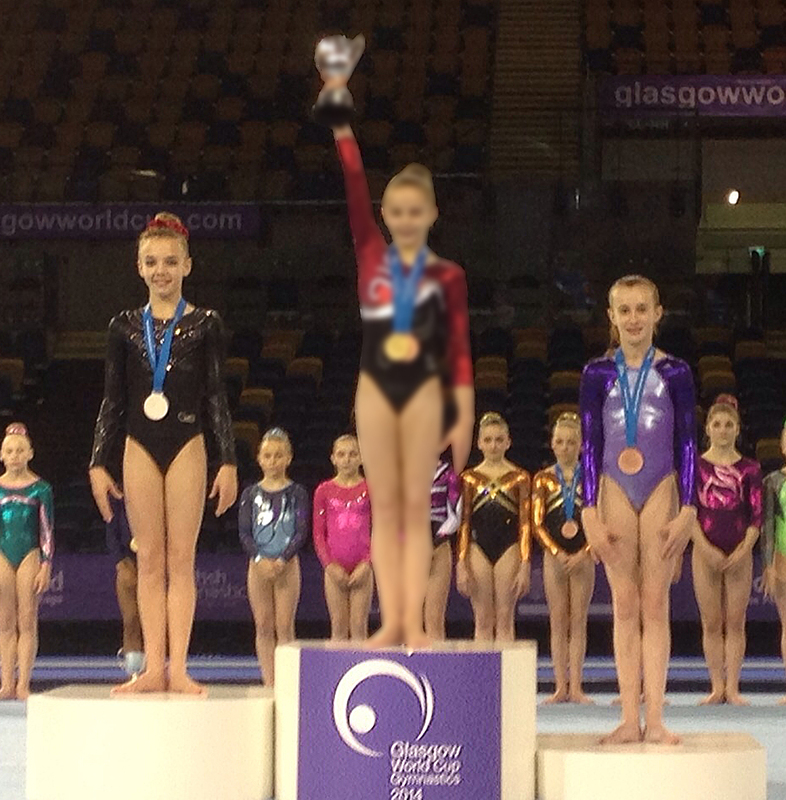 In the All-around competition Taeja finished in 4th position, Megan 6th and Rachel Fraser in =13th along with Hannah Leeson, 23rd out of the 40 competitors taking part. 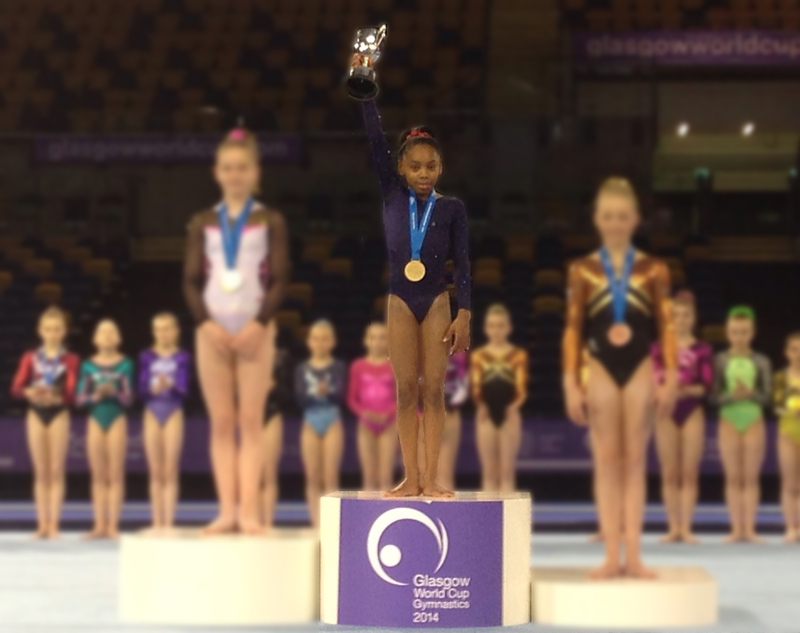 A special mention to Alissia Barlow who competed on three pieces of apparatus in her slow return from injury, well done and we will hopefully see Alissia in full fighting form in 2015. 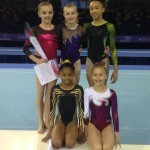 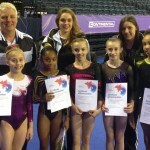 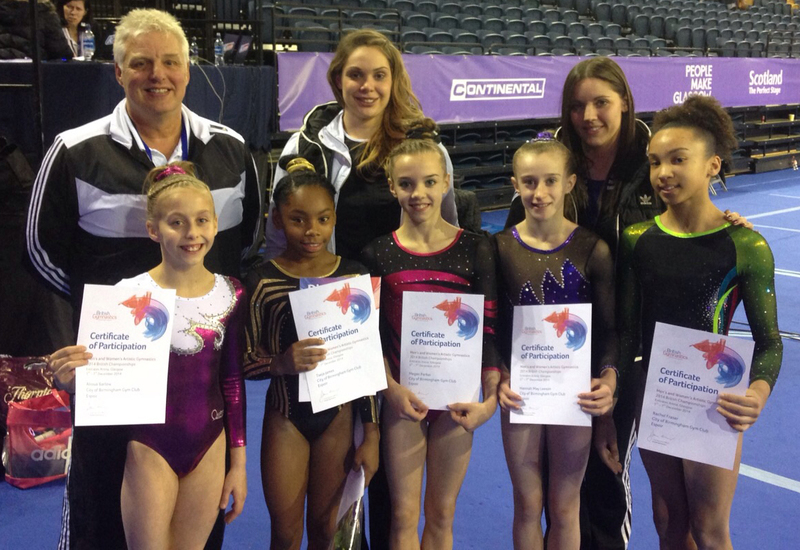 A great end to a successful year of training and competition for all City of Birmingham Womens Artistic squad girls. 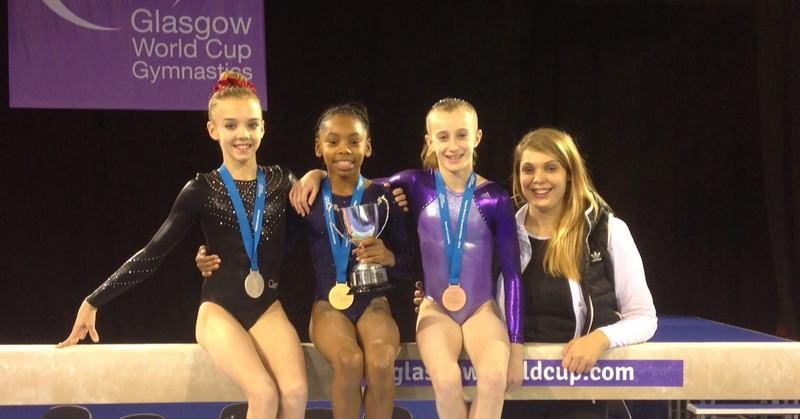 Congratulations to Head Womens Coach, Jody Kime, for the visible progress that she has made with the development of the Womens competitive programme here at City of Birmingham.